Jarret and I are adopting a sweet little girl and she will be with us very-very soon! I have been waiting for just the right time to make this announcement and it finally seems right to let you all in on this big secret we have been holding on to inside. Our little Mehaffey clan is growing! The kids are excited and we are ecstatic about becoming parents again for the fourth time. 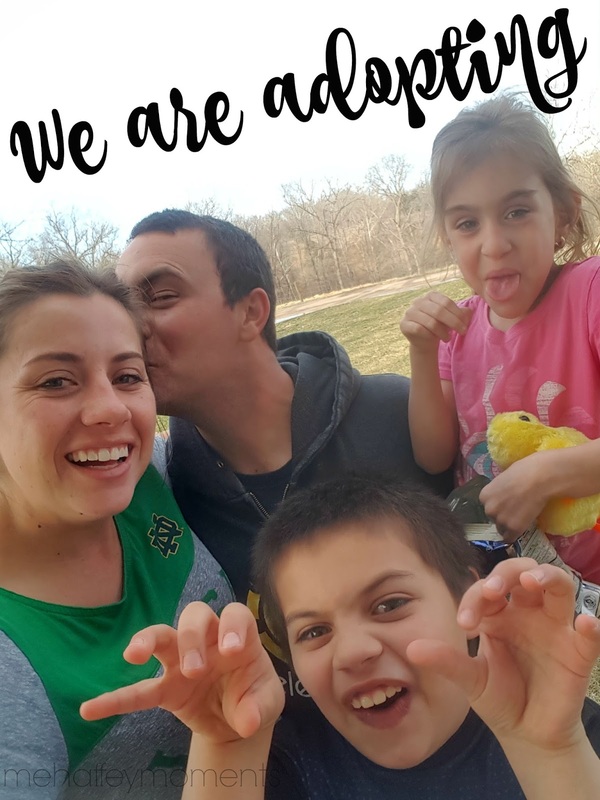 The process of fostering to adopt is a very long process and both Jer and I wanted to wait and make the announcement when we were sure everything was clear and set to go. To say this opportunity came when we least expected it is an understatement! We were presented with this opportunity to change a little girls life in the fall of last year, right when I had just finished up all of Madison’s major follow up visits following her very serious illness with h.u.s. and ironing out any kinks with her I.E.P. in school and her rough first month of kindergarten. Bryce was playing football in a neighboring town, also struggling to find his place in his new school and I was mentally ready for life to start settling down. I think I might of even told Jarret, I am ready to get back to some type of normalcy following our big move from CA to MO. But you know the saying, God laughs when you are making plans right!?! A lot of the training you have to go through to be adoptive parents has to do with advocating for your child and making sure they get the support they need emotionally, educationally, physically while they are growing up so they can be the best child they can be. While you are advocating for your child, you are also creating a safe and secure home for them. One thing I am no stranger to is advocating, I have had 5 solid years of advocating and you don’t want to come between this mama bear and her cubs or the gloves come off and I intend to exercise my advocating abilities with our new daughter to the fullest extent, bloop! Advocating is interesting because it is one of my passions, and kids that don’t come from a stable home and don’t have anyone fighting in their corner is my weakness. So when this particular situation presented itself to Jarret and I, it was such a juxtaposition for what my strength and weaknesses are. My weakness is kids and my strength is to fight for them! So to end this post, which there will be a lot more and possibly answering some of your questions if their appropriate, I am just going to say that we are so excited and I finally feel like I can let my excitement out because we are no longer in the process, now we are just anticipating her arrival. Have a happy Monday and open your heart to new possibilities!